A man believed to be 34 years of age was critically injured in a collision on the R59, Sasolburg, this morning. ER24 paramedics arrived on scene and found that two trucks has collided. 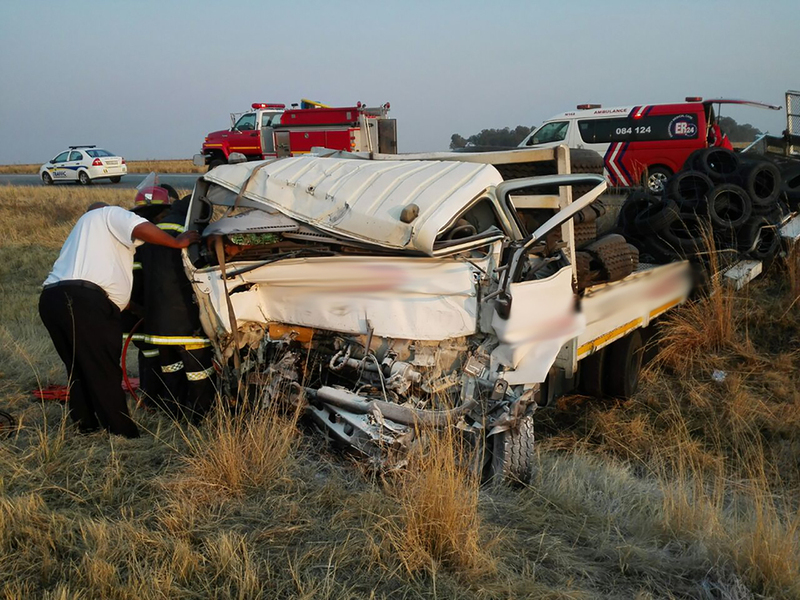 The man was trapped in one of the small trucks that was found in the veld on the side of the road. Fire and Rescue used the jaws of life as well as other rescue tools to extricate the man from the vehicle. Upon assessment, it was found that the man sustained multiple injuries. He was treated and transported to hospital for further medical care. The exact cause of the collision is unknown. Authorities were on scene for further investigations.